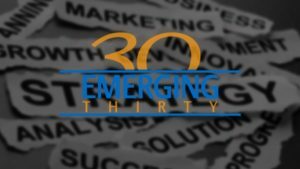 FORT MITCHELL, KY – The Northern Kentucky Chamber announces the 2017 Emerging 30 designees. To qualify for this recognition, companies must have achieved at least $250,000 in revenue and an average annual growth of 15% or more over the past three years. Designees will be recognized over the course of the year at the NKY Chamber’s new Pints & Policies events, with the first event taking place on Thursday, November 9th from 4:30pm – 6:00pm at Hotel Covington. The designees to be recognized at that event are: Advantage Group Engineers, Al. Neyer, Be Creative Catering, Helping Hands NKY, and TiER1 Performance Solutions. More information and registration for the event can be found at www.nkychamber.com/events.